Hello friends, Today I will tell you 5 methods on how to fix Apple Pencil not working. Users can use these methods to fix their Apple Pencil. All these methods are easy to follow and all are working too. You can try any single easy method to fix apple Pencil. Being an Apple user, you might have interacted with most of the apple products. Because some products may or may not be well known by the people. These Apple products are sometimes, necessary to buy. For example apple headphones, Apple’s adapter, Apple’s pencil or stylus and so on. However, there are often some problems with Apple products. As long as there are some bugs in them, some people face trouble while using them. Often users have faced the issue of “Apple pencil not working,” Which is the result of some reasons. An Apple pencil is more likely to b stylus which interacts with the iPad screens. This is needed when a user requires to do some tasks like painting and other jobs that require concentration on every detail. For example, to draw a line, pencil seems more comfortable than using fingers. It is a kind of tool needs charging, and you can pair it with iPad. The magical thing about this Apple pencil is that to pair it; you need to place it near the iPad. Same in the case of charging, which means when you want to charge your Apple pencil, you just put iPad on charge, place pencil near it. Undoubtedly, you can charge iPad and stylus or pencil at the same time. It is because of the magnets in it, simple but impressive. Most of the issues are encountered with the apple pencil. While using it, some problems may occur. Since the Apple pencil does not have any buttons, screens or any indicators, it is very complicated to know what the actual problem is. However, there are some common problems that users often face while using Apple pencil. In the next paragraph, I will explain the top 5 methods to fix apple pencil not working. Before knowing the let us have a glance at some common issues with Apple pencil. First and foremost problem with Apple pencil is Apple pencil skipping. In this problem, pencil just skips some details and leaves behind the dashed lines. The second common issue with the pencil is Apple pencil broken lines. Encountering this problem, Apple pencil is unable to draw a full-fledged line on the drawing apps. Another big problem, users face, is Apple pencil not pairing. However, pairing is easy, but sometimes, the iPad does not show in the notification about the pencil being paired. Apple pencil not charging is a major issue or severe problem, But, sometimes, we can solve it with some simple steps. Every problem has a solution, so does the Apple pencil. Furthermore, I am going to explain top 5 Methods to Fix apple pencil not working. You can try all of them whenever you face any problem while working with the Apple pencil and when Apple pencil is not working. Possibly, these will eliminate your problem. Check them out below. It is the most common way when Apple pencil is not working. Almost all the issues are resolved when you attempt to recharge the pencil. This is because of low battery your Appl pencil takes time to interact or work smoothly. Therefore, you must take care of that it is fully charged. Keep this in your mind that it may take ten to twenty minutes to charge fully. The Apple pencil battery life is approximately 12 hours. Possibly, it might drain faster or slower, depending upon the usage. You could also try by restarting or rebooting the iPad. Because sometimes, the issue does not reside in pencil but the iPad. Indeed, because of bugs in it. It is also possible that you have just updated the firmware of your iPad and after which you have started facing this issue. With the updates, these types of issues are common things, which are resolved by the time. This is not the only problem with iPad, but also many smartphones encounter this problem. 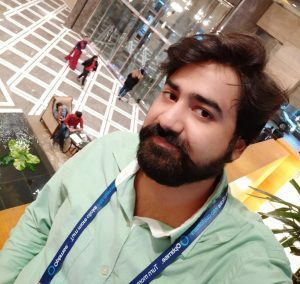 With the regular updates by the manufacturers, these types of minor bugs are possible to remove. Therefore, you can also give this method a shot. When you have been using Apple pencil for a long time. It is possible that its tip may get loose. It is also the reason why you are having a problem with using the Apple pencil, and that is why Apple pencil is not working. The Apple pencil’s tip comes off. Also, there is a replacement that comes with Apple pencil; you can use that. After some time it is also possible that you can swap these tips and reuse them. In this case, try to tighten the tip of Apple pencil. Make sure that you do not put too much pressure while replacing the tip. Just put it on the pencil, and it will start working again. If still, Apple pencil is not working, you can attempt to pair it again with the iPad. Because some updates related to the wireless connection may contain some issues and bugs, which can also cause this problem. So, you can pair it again after removing the Apple pencil pair from the pair list in the iPad. Again try to pair it with the iPad and check whether it has started working or not. When all of the attempts fail. Unfortunately, this is the time to contact Apple’s officials. You can either contact Apple’s customer care online or go to a near Apple store. But the good thing is that this happens only one more out of a hundred. Most of the issues get resolved by using previous methods. But, if still, the problem exists then you will need to visit the store and discuss the issue or contact/mail them online. Apple will always be happy to assist their customers. 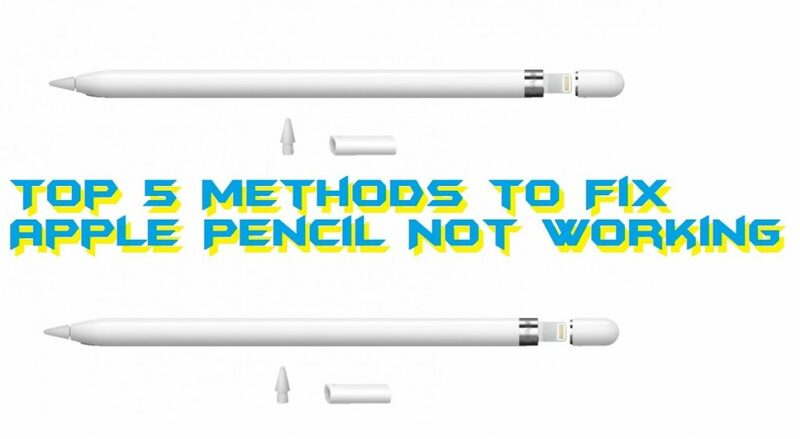 So, these were the Top 5 methods to apple pencil not working. Let us clear a thing these methods are very useful and have solved almost every problem associated with Apple’s pencil. If you have any other way that can resolve the issues with Apple’s pencil, then you can share it with us by commenting down.